Do not miss this Custom Home set back privately on a beautifully landscaped entrance on 3.66 acres with a great Sense Of Arrival. 3 Floors of Living Space. Located in Sought After Roy Ridge Manor. 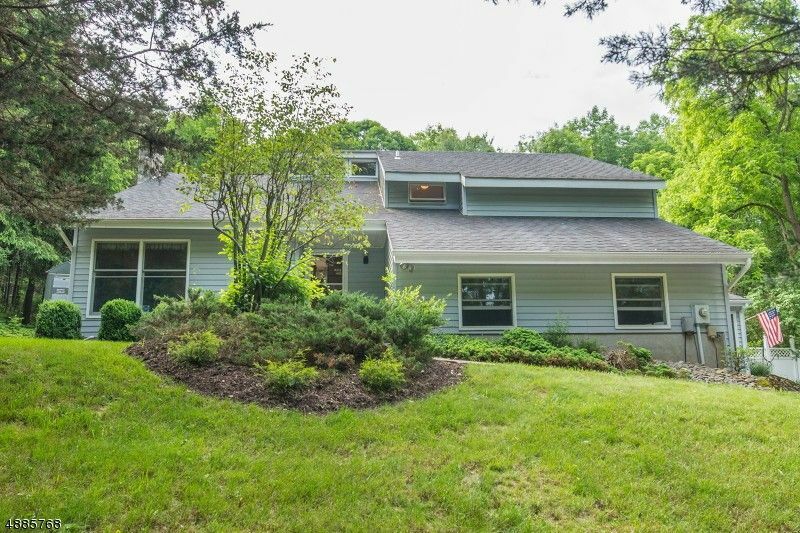 - Living Rm on 1st Flr w/Vaulted Ceiling leads to the well-equipped Kitchen w/Vaulted Ceiling that opens to the Beautiful Sun room overlooking the lush backyard. The 2nd Flr continues w/the Mstr Bdr & Bath, 2 more Bdrs, main bath, an Office w/separate entrance to Ground level or use as a 5th possible Bdr. Ground Level offers a Rec/ Game Rm, Family Rm w/Wood Burning Stove, the 4th Bdr, Laundry Rm & full bath. Relax on the beautiful Deck w/ a Pool Insert with lots of seating area for entertaining viewing the lush backyard..GENERATOR-HOOKUP. NEWER: ROOF 11 YRS, FURNACE 4 YRS, HWH 3 YRS. NEW 4 BDR SEPTIC 2019. Directions: RT 94 S. R ON STILLWATER RD. R ON ROY RD TO #6 ON R.